Wonders never cease in this hip store for hipsters and lovers of divine design. We’ve never seen a place exude cool so effortlessly and everything you pick up, look at or try on makes you drool. Ease into the sleek coffee bar and grab a java drink to help you think. Wander the stylish salon which has racks of Polish designer threads, KATO-themed knick-knacks and shoulder bags, funky jewellery and even home decor. 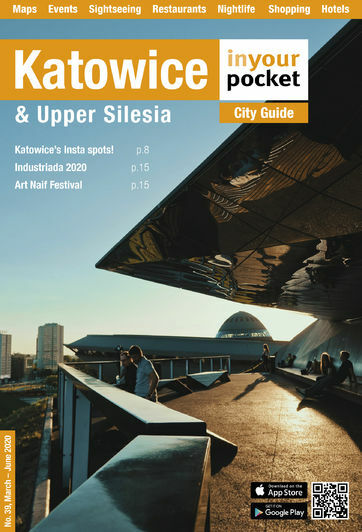 Look through art & archi books or grab a Silesian region mag while you curl up in a window seat and search for reasons to linger here a little longer. This unique boutique is one stop shopping for temporary tourists, culture vultures and fierce fashionistas alike. For misses and misters, but not to be missed. Open 11:00 - 19:00, Sat 10:00 - 17:00. Closed Sun.